I ran across an interesting article on Sci-News.com about the practice of voluntary slavery in ancient Egypt. Over 100 slave contracts reveal that some people enslaved themselves to a local temple and paid for the privilege. Here is some of what the article has to say. According to Kim Ryholt, the practice of avoiding forced labor by entering into slave contracts with temples was limited to a 60-year-period – from roughly 190 BC to 130 BC. There is no indication that the practice existed in any other period in ancient Egypt; probably because the royal family could not, in the long run, afford to yield that many resources to the temples. I found the article interesting for two reasons: 1) because it documents the practice of self-slave among slaves and 2) because it points out that the evidence for this practice is found in a narrow 60 year period. This means that while some slaves in Egypt did sell themselves, it was not a “common practice” as some suppose. This is particualry the case in New Testament studies. I noted in my Recent Research on Paul and Slavery that most NT scholars are familiar with the thesis that individuals would sell themselves into slavery as a way to relieve themselves of debt, improve their quality of life or even as a means of social improvement. This has also been sometimes suggested as the background for Paul’s discussion of slavery to sin and God in Rom. 6:16–22 and his understanding of slavery to Christ. However, how frequently this form of enslavement was practiced is not clear. References to self-sale in the Roman jurists indicate that individuals who sold themselves into slavery had not only given up their inalienable right to freedom, but also brought shame upon themselves and their family (Digest 28.3.6.5; 40.12.1). Apart from two references in the Jurists, references to self-sale are few and obscure. Keith Bradley gives little attention to the practice in his work and comments: “It is generally agreed that self-sale as a mode of enslavement was of negligible importance in the central period of Roman history.”(‘Roman Slavery and Roman Law’, Reflexions historiques 15 (1988), p. 482). The only clear allusion to the practice in Christian literature is found in 1 Clement 55.2. The reference is enigmatic, however, and seems to be referring more to those who were willing to suffer for others rather than suggesting that the author was familiar with the practice of self-sale. Another allusion is found in Petronius’s Satyricon where the freedman Trimalchio claims to have sold himself into slavery in order to improve his social standing. However satire was intended to distort common social values for the purpose of comedy while reinforcing those values at the same time. (Glancy, Slavery in Early Christianity, p. 82) This limited evidence for the practice of self-sale should serve as a caution to NT scholars. Horsley considers this “a good illustration of the limitation of uncritical use of Roman law as a historical source.”(Horsley, ‘The Slave Systems of Classical Antiquity’, p. 36). The discovery of the Egyptian slave contracts certainly demonstrate that some did sell themselves into slavery to gain a better life. But the contracts also tell us that this practice was limited to a specific period of time in a particular geographic area. They do not suggest that self sale was a widespread or even desirable practice. One thing we need to keep in mind when studying this topic is that slavery, in whatever form or time period, was/is not a positive experience for the enslaved. As I mentioned yesterday, fellow blogger Christian Brady lost his eight year old son on Monday. I am posting this along with my fellow bloggers as we stand with Chris and his family. Lord Jesus Christ, we commend to you our brother, our son, Mack, who was reborn by water and the Spirit in Holy Baptism. Grant that his death may recall to us your victory over death, and be an occasion for us to renew our trust in your Father’s love. Give us, we pray, the faith to follow where you have led the way; and where you live and reign with the Father and the Holy Spirit, to the ages of ages. Amen. On Monday I was in Hershey, Pennsylvania enjoying breakfast with my in-laws getting ready to drive to Pittsburgh to ring in the new year with some friends. What I didn't know was that less than 3 miles from me Chris Brady and his wife were watching their eight year old son, John William McKenzie Brady, pass away. I am always struck by the realization that there is much more going on in the world around me than I often realize. This is the announcement Chris posted on Facebook. Words cannot begin to express the deep, wrenching sorrow that our family feels at the sudden and unexpected death of our boy. He contracted meningitis on Sunday and by last night had returned to God. He was a special treasure, a true blessing sent from God. 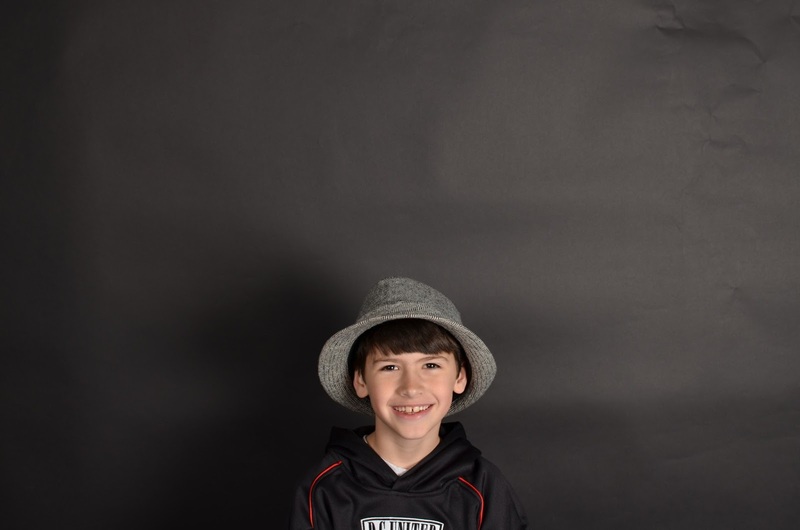 Mack was passionate about soccer and his dream was to be the starting keeper for the US National team. He had wonderful friends at school, at church, and on his team The SC Celtics. He has the best sister one could imagine. There are not words that can comfort or theology that can accommodate such loss. Thank you all, however, for your prayers and support of our family in this time. Arrangements will be announced at some point. I don't know Chris personally, but I have followed his blog for sometime. I have always been impressed with the way he navigates the tension between his faith and scholarship. I continue to do so with his blog post this morning describing the way the religious community has come to surround his family. 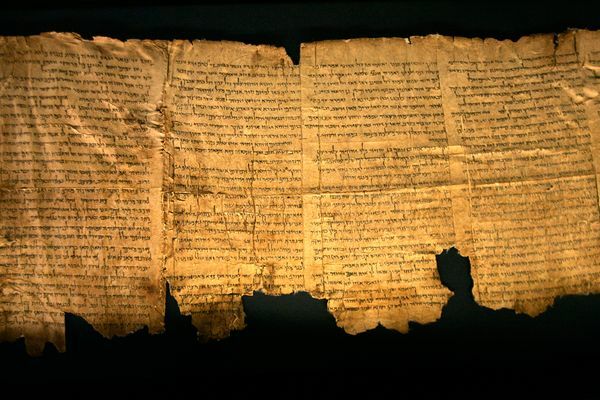 For those who have never had the chance to view the Dead Sea Scrolls can now do so with just the click of a mouse. Partnering with Google, the Leon Levy Dead Sea Scrolls Digital Library is now online. This is an important move since until now only a small handful of people were allowed to examine the actual scrolls. The reason for the restriction is not due to a conspiracy theory, as some have suggested, but because the scrolls are so fragile they must be handled by people who have been trained to do so and only in the right conditions. That being the case, most of us have been restricted to looking at photographs and transcriptions that have been published in very expensive books by the scholars studying the scroll. This means that while the scrolls were accessible, the only way one could do so was owning a very expensive set of books. Now, the scrolls can be see by all. Click on the link and you can zoom in on the photograph. Here is the Community Rule and the War Scroll, two of the most famous scrolls. I suspect this will open up scrolls scholarship in a new way. With more people able to view the scrolls, it means the potential for learning is greater. It also means that some theories about the scrolls and their interpretation may also be challenged. In any case, it means that information is becoming the property of all people. Hats off to Google and the Israeli Antiquity Authority! If you want to learn more about the project you can here an interview on NPR. The below video is from the CNN Blog. I took a ten day hiatus from blogging. This is the first time I have done this since beginning this blog. I kept up on what was going on in "blogdom," but didn't feel compelled to post anything. I suppose we all need a break. I am getting ready to begin teaching again after having a six month period of study leave graciously granted to me by the seminary. So in the next few days I suspect I will gear up again and begin posting on a more regular basis. In the mean time here are some links to to some posts I noticed while I was away. Helen Bond's "Ten things I learned about Jesus while writing a book about him" is an excellent read. Ben Blackwell has a good post on Christocentrism has become Christomonism. Ben rightly asks, what has happened to the Spirit?